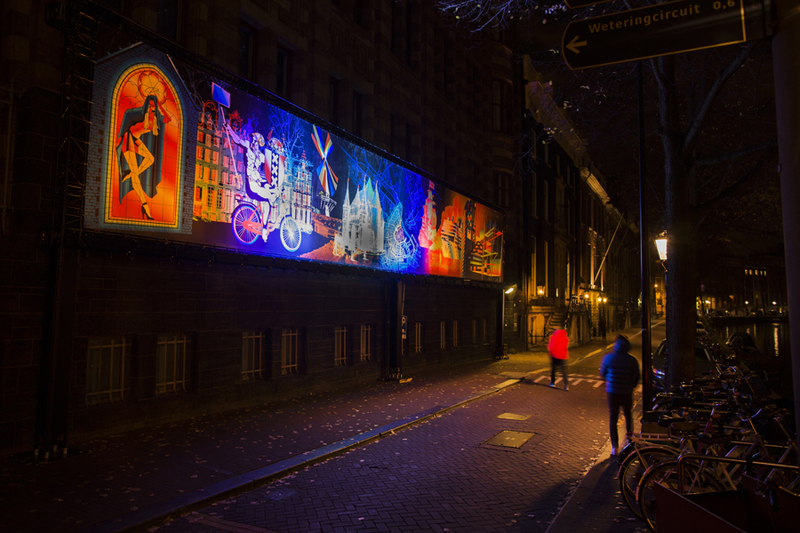 Through the usage of LED lights and specially designed software the pictures come to life in a moving painting of light. The design exists out of different color layers that create an illusion of movement together. The layers correspond with the past, the present and the future of the city of Amsterdam. Motion Paintings is a series of graphic light art installations that are initiated by Robin de Kruijff. The Dutch artist has a graphic background but felt the urge to step it up a notch. De Kruijff approached light artist Daan Brinkmann to assist him in the techniques for this. Though specialy developed software sets of lightning are maneuvered to bring 2D graphics or 3D objects to life. 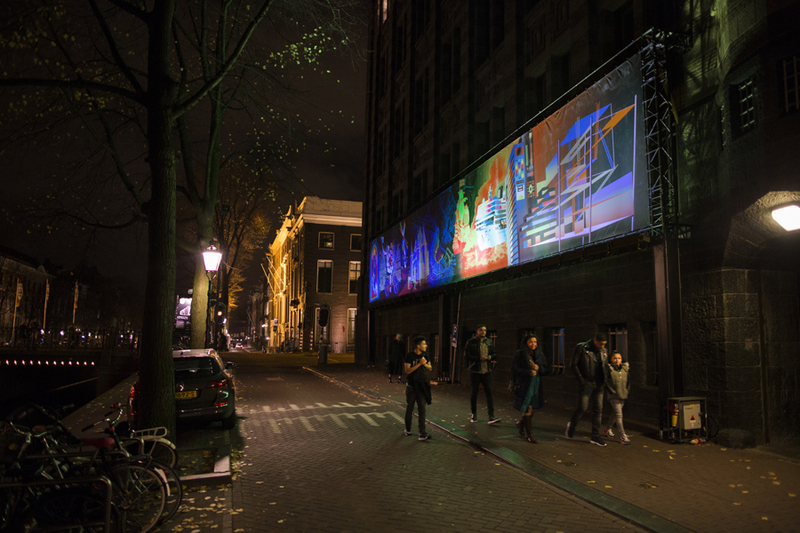 You could have admired the installations of Motion paintings already at Museumnacht Amsterdam, STRP Biennial and Lowlands Festival among others.